Samsung launched 7-inch Galaxy Tab 2 311 in India – How to Pre-Order? 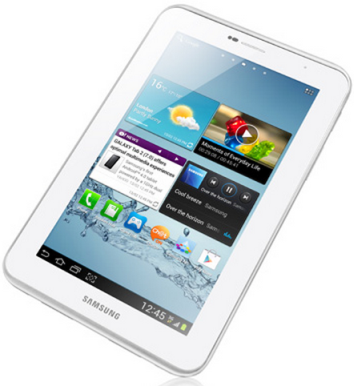 Samsung launched new low cost Galaxy Tab 2 311 (GT-3110) in India, available now on Samsung e-Store. The tablet comes with brilliant display of 7” LCD touch screen display with the resolution of 1024x600. It runs on Android 4.1 Jelly Bean version and it equipped with 1 GHZ dual core processor. Its weight is just 345 grams is light weight ultraportable compare to other Samsung’s tablets. The tablet has 16 GB internal memory and you can extend up to 32 GB via external microSD card. It is integrated with 3 MP primary camera and also has VGA front secondary camera. It comes with some unique features like Face Unlock and the latest TouchWiz. Price and How to Pre-Order? Samsung Galaxy Tab 2 311 officially priced for Rs.13900. It is available now to pre-book the tablet on Samsung e-Store. The shipping will be starting from first week of February 2013.